Our client is an energy supplier for tenants across the UK. They started as a small start growth, which has largely been attributed to their start-up company to fill a gap in the utility market, looking to meet the needs of landlords, letting agents, and homeowners. The energy supplier has experienced rapid annual emphasis on great customer experiences. Between 2014 and 2015, their revenues grew by over 42%, while their customer base increased by 20%. Bill Gosling Outsourcing—operating as Allied International Credit (AIC) in the UK—began working with this retail energy provider in 2014. Our client has relied heavily on our consultative approach to develop new communication strategies that primarily emphasizes the customers’ experience, while increasing efficiency and reducing operating costs. 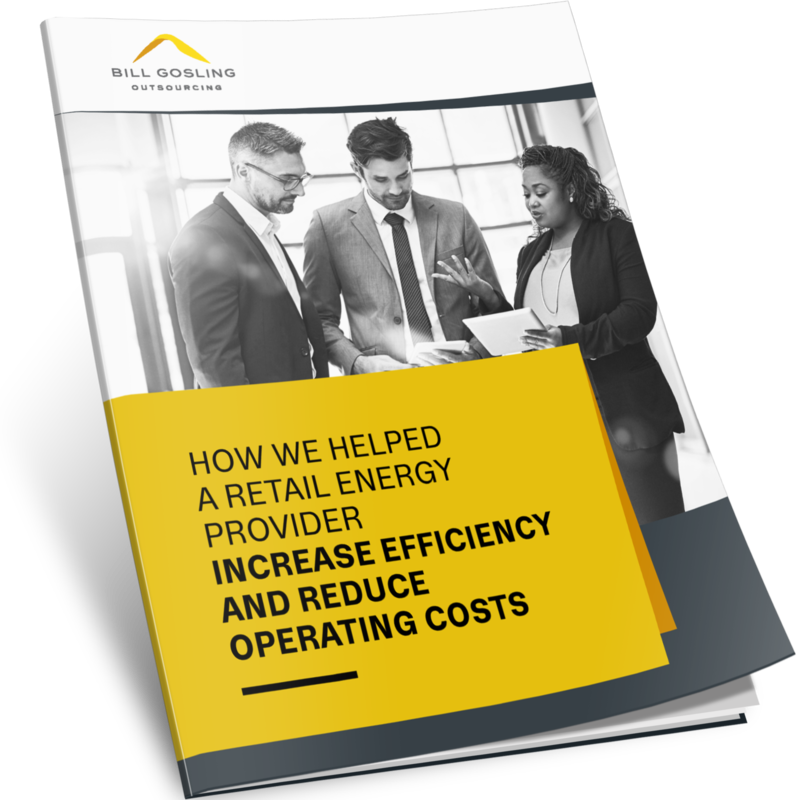 Download this case study to learn more about how we helped an energy provider increase efficiency and reduce operating costs.